What value can you company bring to M&SCA Contractors? : The four principals of CBMD have over 100 years of collective experience serving the business community and their owners and officers. CBMD focuses on companies in the Construction Industry, and is well positioned to assist M&SCA Contractors in pursuing or defending construction claims, preparing mechanics lien filings, asserting bond claims, undertaking bid protests and other public contract matters, and contract negotiation and drafting. The firm also is well versed in the labor and employment issues which are of particular concern to union contractors. 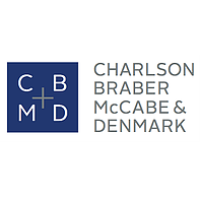 But CBMD’s expertise goes beyond just construction and employment: the Firm handles mergers and acquisitions, corporate formation and dissolution, and—in case its ever needed--- business litigation. CBMD also has an Estate Planning practice group that will help guide your succession planning and wealth preservation for the next generation. CBMD understands that the issues faced by its clients often require immediate attention and a quick response. CBMD’s lawyers pride themselves on addressing their clients’ needs in a timely manner while being cost effective in delivering their services. Clients do not get passed off to associates to handle their matters—our clients hire us, so they deal with us. What are some of your latest offerings? : Liam Braber and Chris McCabe presented two M&SCA Lunch and Learn Webinars entitled “Application of the New Prompt Pay Law” on July 24 and August 7, 2018. How has being an Allied Member helped your business? : It keeps us in contact with our mechanical contractor clients and provides invaluable interactions, educational tools, and networking with others in the Industry.